Most cars come with enough equipment by themselves and therefore upgrading or modifying them just isn’t all that necessary. There are however a few accessories that can give your car some needed improvements or just a few extra perks that you might find useful, and don’t cost much money or take up a lot of space. One of the more popular types of exterior car accessories are the many available types of roof racks. 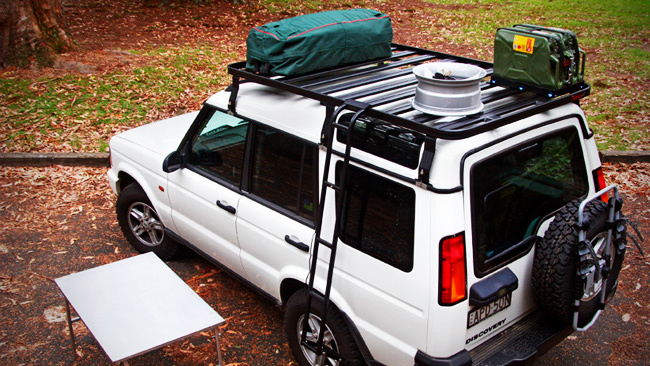 The basic function of the roof racks is to give you a lot of extra space when it comes to transporting your luggage. This is very useful when going on a vacation since there never seems to be enough space for everything you want to bring along. However, its real utility shines when it is installed on cars that just don’t have enough luggage space in the back to begin with. Whether this is because the car itself is a smaller model, or if it’s a design oversight doesn’t matter. What does matter is that the roof racks can provide you with an easy solution to this problem. A good interior car accessory to consider buying are the seat and steering-wheel covers. These two don’t really go as a set normally, but since they both have the same basic function, you might as well get them together. Actually, while the seat covers are designed to keep your seats clean (and are quite effective at it), the wheel cover also has another purpose – it provides a bit of extra padding for when you are steering. This is particularly useful for frequent drivers or workers with long commutes to work, who can use all of the little perks they can get. Finally, something that’s more of a gadget than an accessory, but still most drivers could get a lot of use out of, would be the GPS. The merits of being able to know where you are at all times are so obvious that it’s hardly worth mentioning them. However, there is a reason why the GPS has become much more widely implemented in recent years, and that is because it is useful for both those that need to know a specific street name of a city they haven’t been to, and the ones that are simply not so good with directions. Personally speaking, as a person that has gotten lost in my own house, this device would be a life-saver for me. As always, whether you decide to get all of these accessories, or think you’re fine with what you have now, is entirely up to you. However, I hope I’ve let you in on why these are considered some of the more popular add-ons on the market.